The latest Ultramar Player of the Week honors go to Drummondville Voltigeurs center Joe Veleno. 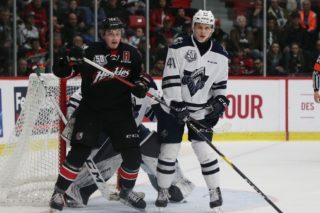 In three games, the 18-year-old from Kirkland, Quebec racked up 11 points as the Voltigeurs went 3-0 during a road trip through the Maritimes. 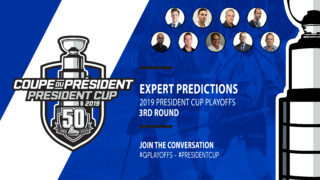 For Veleno, the weekend started on a nostalgic note as the Voltigeurs traveled to Saint John on Friday night to take on the Sea Dogs, the organization he won the President Cup with in 2017. The fourth-year veteran would record a pair of third period goals and went 11 for 18 in the faceoff dot in a 7-2 Voltigeurs victory. On Saturday night in Moncton, Veleno made the Avenir Center his personal playground. 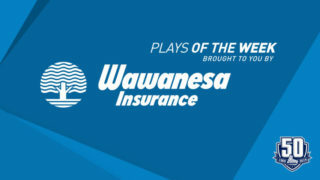 A three goal and three assist performance made him an easy choice for first star of the game as the Voltigeurs defeated the Maritimes Division leading Wildcats by a 7-1 margin. For Veleno, the six-point outburst represented a new single game high water mark in his QMJHL career. 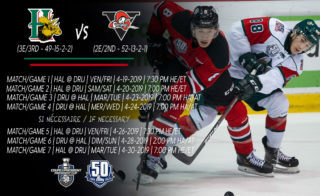 On Sunday afternoon in Halifax, Veleno continued his torrid pace, scoring his second shorthanded goal in as many games to go along with two assists in a 6-2 triumph over the Mooseheads. Once again, Veleno was named the game’s first star after posting his fourth consecutive multi-point contest, while the shorthanded tally was his league leading fifth of the season. 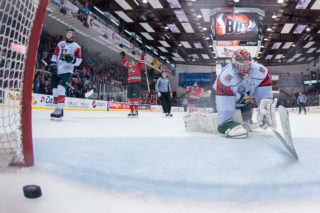 Additionally, his third point of the contest was the 200th of Veleno’s QMJHL career in the regular season. This weekend’s performance now places Veleno fifth overall in the QMJHL scoring race with 38 points in 23 games. 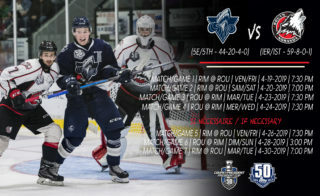 His 17 goals are good for a tie for fourth in the QMJHL in that category, while his Voltigeurs find themselves five points ahead of Sherbrooke for top spot in the Central Division. Veleno made history in 2015 when at the age of 15, he became the first player in QMJHL history to be granted exceptional status for that year’s Entry Draft. He followed that up by being selected in the first round, 30th overall in last June’s NHL Entry Draft by the Detroit Red Wings.